Media Asia film yesterday announced its major film projects for this year at the Hong Kong International Film and Television Market. 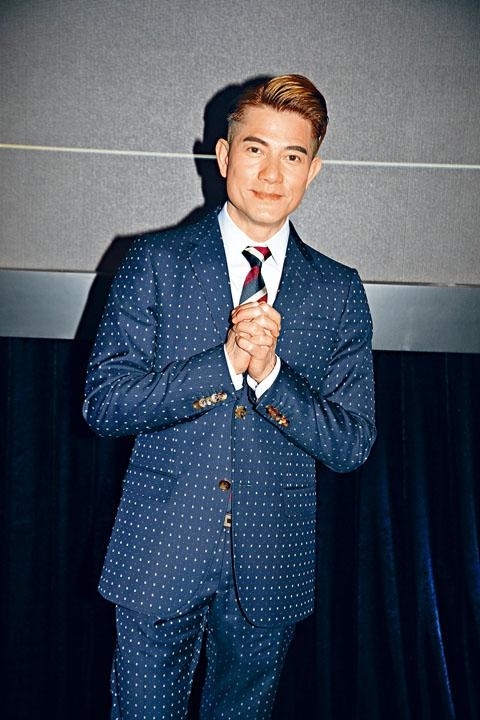 Attending actors included Aaron Kwok Fu Sing, Nick Cheung Ka Fai, Sammi Cheng Sau Man, Miriam Yeung Chin Wa, Richie Jen (Yam Yin Chai) and others. Five films were introduced, BODIES AT REST (CHUM MUK DIK JING YUN), SILENCE IN SMOKE (MUN YIN), FAGARA (FA JIU JI MEI), KNOCKOUT (NGOR MOON WING BUK YIN HEI), THE CALLING OF BUS DRIVER (AH SOK DIK GOO SI) and I'M LIVING IT (MAK LO YUN). Sing Sing revealed, "I'M LIVING IT has already been completed for awhile, it is slated for a release this year and later will participate in film festivals elsewhere. As an actor I won't put awards first. Because it is a Hong Kong subject, I hope it will be able to show the world that Hong Kong films are excellent." Sing Sing in the film played a terminally ill homeless person. He said after the shoot he thought that he had the terminal illness himself and was rather anxious. Later after a physical he found out that he was fine and relaxed. Chin Wa praised Sing Sing for being in character, he was able to skip meals and very easily bring them into their characters. Reportedly Sing Sing placed a fengshui setting for having sons, which he denied. "Of course not, actually I have always used fengshui to secure the home. It isn't a made up story as reported. (Was it not this color before?) Because it broke in a storm earlier a new one was set up. Now it is much more secure. Since I am a father and a husband, I have a duty to protect the health of my family. (You wouldn't pray for a son with your wife's second pregnancy?) Regardless of the gender I am happy, I just want my daughter to have a companion." Chin Wa said, "The elders always teach us not to reveal the gender during the pregnancy." Sing Sing agreed that his mother did not like him always talking about it either. Happiness was the most important. Cheng Sau Man with Megan Lai Ya-Yan and Cherry Li Xiaofeng in the film FAGARA played sisters. Kenny Bee (Chung Chun To) played their father. They said that B Gor Gor could play their boyfriend. B Gor said, "With make up effect I can play old, if I play the age since I have known human nature then I am probably OK."
Singer turned actor Ivana Wong Yuen Chi yesterday promoted her new film THE CALLING OF A BUS DRIVER. Producer, director and writer Patrick Kong (Yip Lim Sum) revealed that she went to get a bus driver license. "She in the film played a bus driver, but I wouldn't say how many times she took the test! I thought about asking her to take everyone to the premiere on a bus, but I would go on my own!" Ivana said that getting the bus driver license actually was not too hard. "As long as you are willing to go to class you are fine. You will get it after a few times. I want to say that after the shoot I can drive to celebrate with a barbecue, but no one has responded."